Age 18 is a milestone for all young adults, but it is particularly important for individuals with special needs. There are many aspects of your child’s future to plan for and discuss with your trusted advisor before your son or daughter turns 18. Decisions you make will lay the foundation for your child’s support for the rest of his or her life. Thus, every decision should be discussed in great detail. I always encourage families to begin planning for the future as early as possible. However, many individuals, for various reasons, have not completed a Comprehensive Special Needs Plan for their child despite the fact that they are approaching 18 years of age. Once a child with special needs reaches age 18, he or she qualifies for Supplemental Security Income (SSI) based on his or her own earned income and assets. SSI can open the door to vocational training and group housing services. Because SSI’s income and resource limits are very restrictive, it pays to know the details of the program before deciding whether it is right for your loved one. In order to receive benefits, your child must meet the government’s disability standard, have less than $2,000 of assets in his or her name, and receive minimal income. Although the government limits the amount of assets the individual can have in his or her name, a properly structured trust will protect your child from being disqualified from SSI benefits while still having access to necessary assets. For this reason, it is important for your financial advisor and attorney to work in tandem with each other. Many families will decide that the monthly SSI income checks are unnecessary. However, with eligibility for SSI comes a much more important benefit: access to Medicaid. For this reason alone, many families, especially those with children who have major medical expenses, pursue SSI benefits despite the program’s severe income and asset limitations. It is important to think through the pros and cons of applying for SSI and Medicaid before making decisions for your family in these areas. Your decisions here will affect every area of planning for your child with special needs in the future. Be sure that your decisions are right for you and your family. Parents who have been making many important decisions for their child with special needs have another difficult choice to make when their child turns 18. In most states, children obtain legal and medical decision-making authority upon turning 18 and “becoming an adult”. This rule applies to everyone- regardless of their disability status. If your child is not capable of making his or her own decisions regarding such personal and/or financial matters, the most common strategy parents implement is to petition for guardianship. Obtaining guardianship requires a legal proceeding where an individual (usually a family member) asks the court to find that the individual with special needs is unable to manage his or her affairs effectively because of a disability. The process involves hiring an attorney and providing proof of the child’s legal incapacity. At the conclusion of a successful proceeding, the court declares that the child is incapable of making his or her own decisions and appoints another individual to serve as the legal guardian. The chosen guardian then assumes all legal decision-making authority for the individual with special needs. Because of the legal costs associated with petitioning for guardianship, it is important to begin discussing this aspect of planning as soon as possible. It is also important to know what alternative options are available if petitioning for guardianship is not the correct strategy for your child. Alternatives to guardianship do exist, including appointing a durable power of attorney and/or a financial representative. These alternative options can help reduce the cost and red tape involved with obtaining guardianship. However, these options do not fully replace being granted guardianship so it is very important that you and your trusted advisor carefully discuss your options and the costs and benefits of each. Your child’s individualized education program (IEP) should begin discussing a transition plan by the time your child turns 16. This plan should include what needs to be done for your child to successfully transition out of the educational system. Legally, your child can stay within the educational system until he or she reaches age 21. However, many parents decide that it is best for their child to exit school at the same time as his or her peers. This is a personal decision left to the discretion of the parents based on what they believe will be best for their child. Once your child begins receiving either SSI or Social Security Disability Insurance (SSDI) payments, the Social Security Administration (SSA) offers several programs to encourage employment at some level. The best-known program, the Ticket to Work program, is designed to offer beneficiaries a way to begin a career without having to worry about losing their SSI or SSDI benefits due to income and asset limitations. While there are many benefits of this program, it is often quite difficult and confusing to navigate through the program. Finally, one of the most difficult decisions that families have to make is where their children will live as adults. Many parents are not comfortable with the idea of their child with special needs living outside of their home, so the parents decide to keep the child’s living arrangements the same even after they turn 18. In some cases, parents do choose a level of independence for their child when they turn 18. This can range from moving their son or daughter into a fully staffed group home to moving them into a semi-independent apartment-style living situation. Parents often look into subsidized housing options at this time. 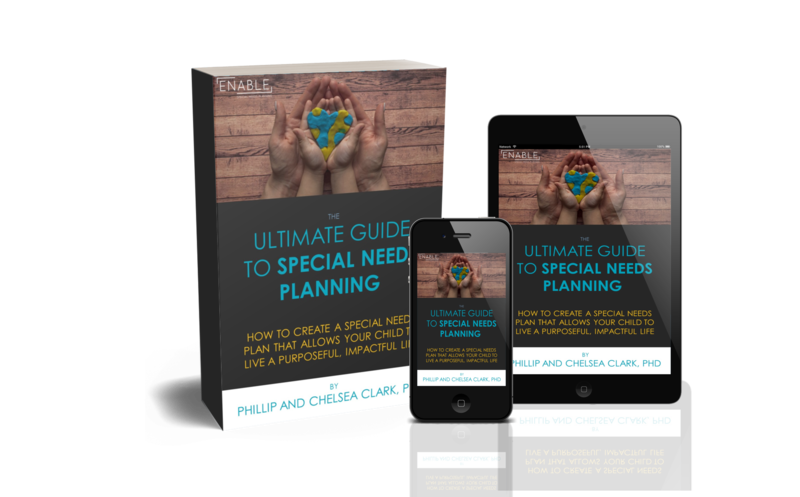 Just like all other areas of planning for your loved one with special needs, a thoughtful discussion of all the options will help you determine what is appropriate for your child and your family. Additionally, parents have to think about and plan for living arrangements for the individual with special needs when the parents can no longer care for their child. Planning, far in advance, for this transition is important so that major decisions do not have to be made out of necessity or suddenly, due to the pressure of a parent’s illness or death. Because decisions you make in these areas can impact your child for the rest of his or her life, I always encourage families to begin preparing for the future as early as possible. Although planning for a child with special needs can seem overwhelming, having open and honest conversations with your trusted advisor before your child turns 18 can greatly alleviate much of the stress and frustration of the planning process. Next postSorry, I’m not sorry!